KYADONDO – The Nansana based Light the World Church Leader, Pastor Wilson Bugembe was pressurized by fans who requested him to sing the ‘Tuliyambala Engule’ a song that he featured with Bobi Wine among other artistes. While performing at King Saha’s Biri Biri concert at Kyadondo grounds on Friday night, the ‘Wanaaza’ hitmaker was forced by revellers who asked him to perform the controversial song. Pr. Bugembe decided to only sing his verse as fans were heard completing the chorus. MCs of the concert Mosh and Kats told him jokingly that they thought he had forgotten the lyrics of the song. Just a few days back Bugembe came out regretting having featured in the song after his fellow pastors criticizing it saying Bobi Wine plagiarized a church song to fight his political wars. Pastors went ahead to attack Bugembe saying that his decision to be part of the song is disrespectful to the church and God. 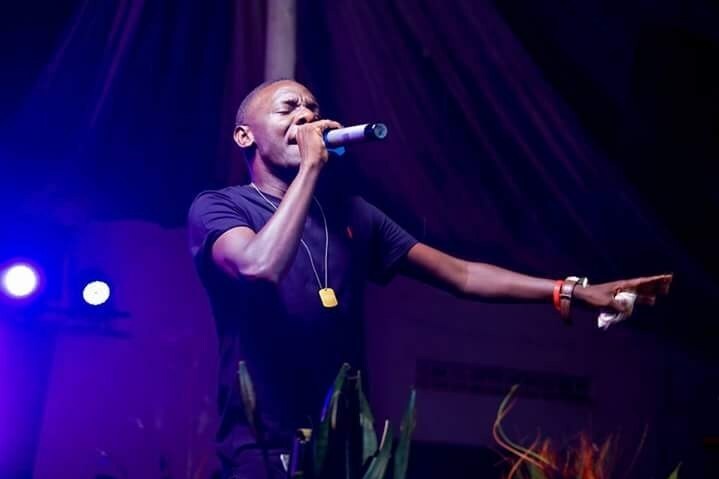 However, him appearing for an interview on a local TV, Pastor Bugembe expressed his regrets of being part of the song and attributed this move to the little knowledge of what the song was about.